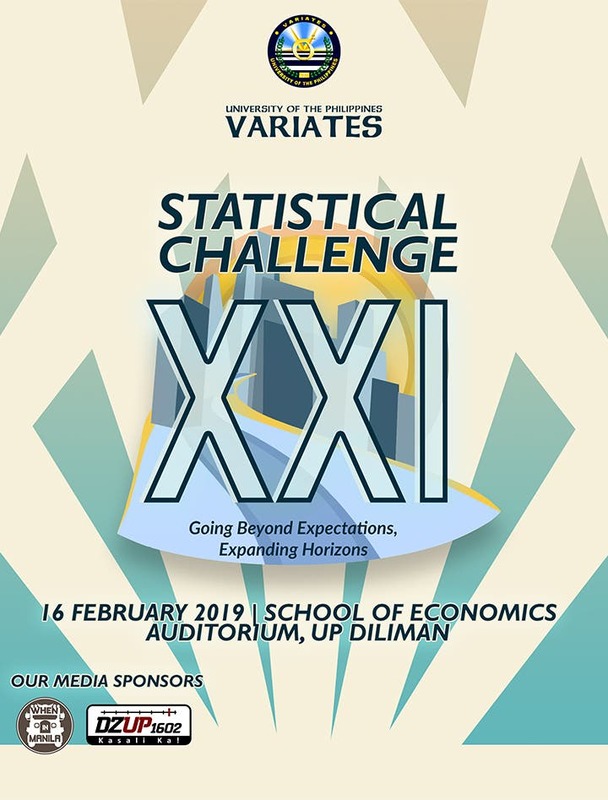 The Statistical Challenge XXI is a nationwide inter-secondary Statistics Quiz Show hosted by the University of the Philippines Variates. With the theme Going Beyond Expectations, Expanding Horizons, it aims to increase the knowledge of high school students about Statistics and to promote the field as a possible career path. Through the years, public and private schools from all over the Philippines have participated StatCha. Now, it is endorsed by the UP School of Statistics and is recognized by the Department of Education (Advisory No. 239 s. 2018). For this year, there will be a 25-item written quiz before the conventional quiz show to acknowledge outstanding individuals. The contest is open to students in Grades 8, 9, and 10, and will be held on February 16, 2019, at the UP School of Economics Auditorium. Deadline of registration is on January 25, 2019. You may access the official invitation at tinyurl.com/StatChaXXI. In the successful 20 years, the quiz show has opened brilliant, young minds and hearts in the vast aspects of Statistics, motivating individuals to pursue the field in their college education and eventually as their career path. Now in its 21st year, join us as we go beyond expectations and expand horizons!